I just bought a flash drive, and it seems to be working really slowly on my Mac. What should I do? You need to format your flash drive on Mac to make it compatible with your Mac. We’ll teach you how in this article. Read away! Here are the tactics you’ll learn about in this post. Part 1. Why Format Your Flash Drive? Part 3. 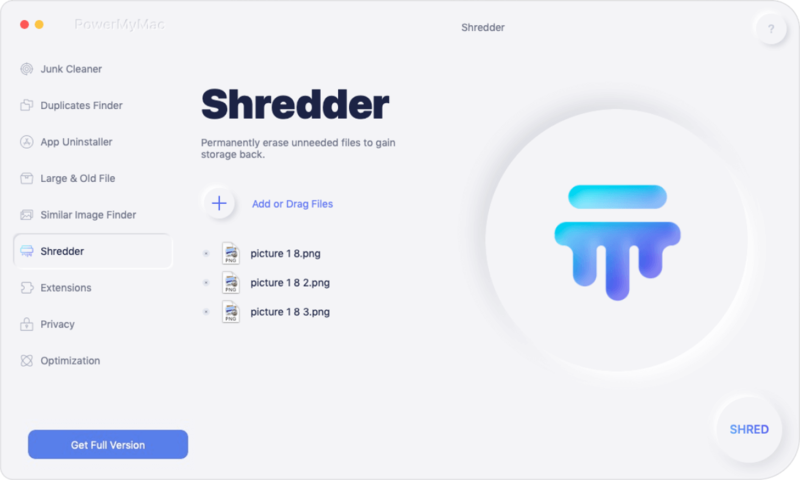 Use iMyMac File Shredder to Delete Files on Your Flash Drive. Ensure the flash drive’s full compatibility with Mac. Most flash drives are pre-formatted for use with Windows. The difference between macOS and Windows is that they make use of different file systems. Mac uses either Mac OS Extended or AFPS as the file system, while Windows usually uses FAT32. Drives that are formatted as FAT32 can still be used with macOS, but there is a bigger chance that you’ll encounter issues along the way. Aside from that, Time Machine doesn’t work with drives that are not fully compatible with Mac. Time Machine is a built-in feature of Mac that backs up your files to an external storage device such as your flash drive. Free up space in your flash drive. USB drives have limited memory space. Sometimes, deleting unnecessary files or transferring a few of them to your PC is enough. Sometimes, it isn’t. That is when formatting your USB drive becomes the best solution. Get rid of viruses and other issues. Flash drives are popular for their portability, but they can also carry viruses that can spread to other computers. Formatting a flash drive on Mac is an easy yet effective way to remove them. Although macOS is generally much safer and more secure than Windows, this doesn’t mean that your Mac can’t be affected by viruses. Before you proceed with formatting your flash drive, you should first consider which format you are going to use. Selecting the correct format is crucial as it will have an impact on its compatibility with your Mac. Certain formats work better on specific versions of macOS. The format that you set is something you’ll have to stick with for a long time, so it’s best if you make the right decision from the very start. Below are the available formats and when best to use them. APFS. Short for Apple File System, APFS only works with Mac running on High Sierra or later. It is optimized for solid state drives (SSD) like flash drives, and this guarantees a faster performance than Mac OS Extended. If you intend to use your USB drive only with a new Mac, APFS is highly recommended. The downside to it is that it isn’t Time Machine-compatible. This means you cannot set the flash drive as the destination of your backup. Mac OS Extended. If your Mac is running on macOS Sierra or below, this format is the way to go. Nevertheless, Mac OS Extended works with High Sierra and up as well. This would work well if you think you would need to use your drive in an old Mac. It has some catching up to do in terms of speed, though. On the bright side, you can use your flash drive to create backups via Time Machine. FAT32. The most versatile in the list, FAT32 will allow you to use your USB drive on Windows as well as a Mac. In fact, it is the most widely compatible file system. It works on most video game consoles, media players, and other devices. However, it can only support individual files up to 4GB in size. We don’t suggest using this format if you plan to store large files like videos. exFAT. This is closely similar to FAT32 in terms of compatibility. It works on both Windows and macOS too. However, it is not supported by as many consoles and devices as FAT32. The great thing here is that it doesn’t have a file size limit. If you want full compatibility with Mac, choose between APFS and Mac OS Extended. If you expect to transfer files between a Windows computer and a Mac, you should decide on either FAT32 or exFAT. If you are merely freeing up space or getting rid of viruses in your flash drive, simply select the previous format. Now, have you decided which format would best suit you and your Mac? If you have, refer to our step-by-step guide on how to format a flash drive on Mac. Step 1: Plug the flash drive into the USB port. Newer models of MacBook and MacBook Pro only come with USB-C ports. You will need to connect a USB-C adaptor on the port before you can connect your flash drive. Step 2: Launch a Finder window. Open a Finder window. You should see your flash drive listed below the Devices section. Click on it. If you have files in your drive, make sure to transfer them to your Mac or another external storage device. Formatting your flash drive will wipe off all files in it. Step 3: Run Disk Utility. Now, go to Applications and select Utilities. 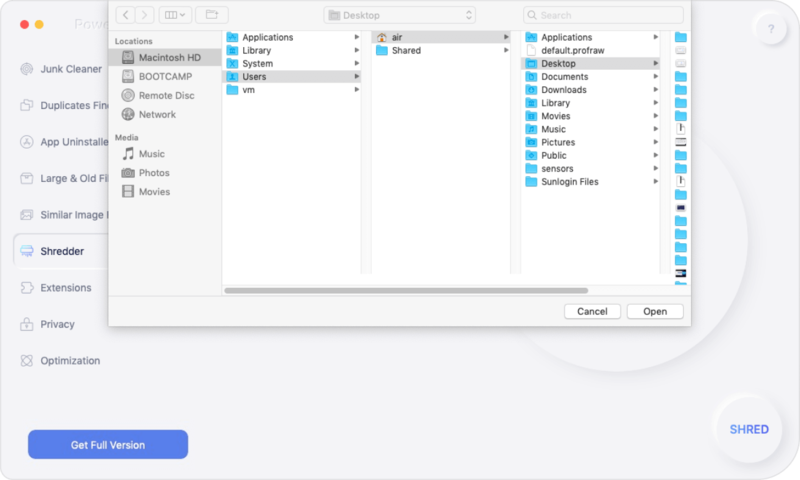 Click Disk Utility to open it and press on your flash drive’s name from the sidebar. Click on the Erase tab at the top of the window. Step 4. Choose a format for your flash drive. From the drop-down list next to Format, select the format that you want to use for the flash drive. You may also set a name for your drive. Simply enter it in the field beside Name. Step 5. Format your flash drive. Click Erase. A dialog box will appear. Hit Erase to confirm and wait for your Mac to complete the formatting. Every time you want to permanently delete files on your USB drive, you don’t have to format it again. 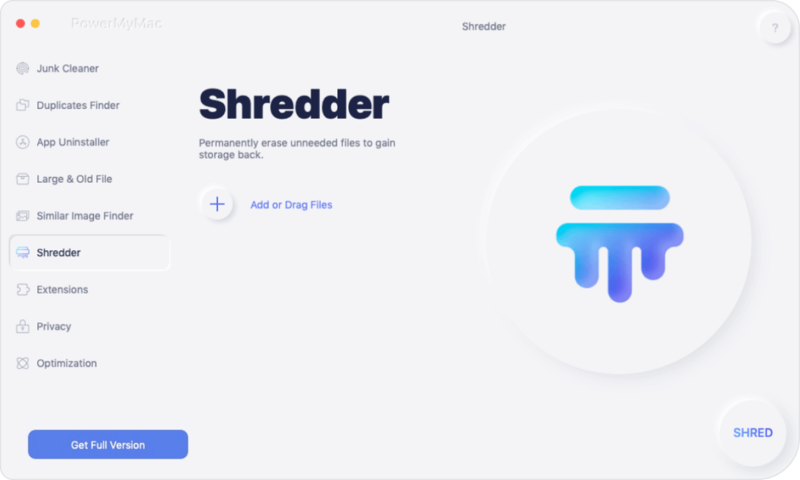 You can just use a reliable file shredder to conveniently erase files in a secure way. iMac-Cleaner File Shredder does just that. You can use it to delete confidential files on your Mac, external hard drives, and SD cards as well. It comes with a 30-day free trial, so grab the opportunity while it lasts! Download and install the software on your Mac. Launch it once installation is complete. Connect your flash drive to the USB port. From the left tab of the software, click More Tools and select File Shredder. Hit Select Files. A Finder window will appear. On the sidebar, you will see a list of folders and your connected USB drive. Look for your flash drive below the Devices section and click on it. Select the files that you want to delete and press Open. If you want to add more files for deletion, simply click on the Add Files button on the upper-left corner of the window. Before you continue, make sure that you’re certain that you wish to delete your files. Once you have selected all files that you wish to delete, hit Shred. Click Confirm to proceed. Formatting is useful for making the most out of your flash drive. Choosing the format that matches the Mac you’re using as well as your data storage needs are very important. So is deleting unwanted and confidential files as safely and securely as possible. This is made possible with iMyMac-Cleaner File Shredder. You should use it with caution, though. Once files are wiped off by iMyMac-Cleaner File Shredder, you will no longer be able to recover them!